MailServe's Outgoing Mail Setup Panel can be reached via the first (extreme left) button on its Toolbar, below. Then, look for the Postfix button, at the opposite end (extreme right) of the Toolbar. Click on the Start Postfix button. 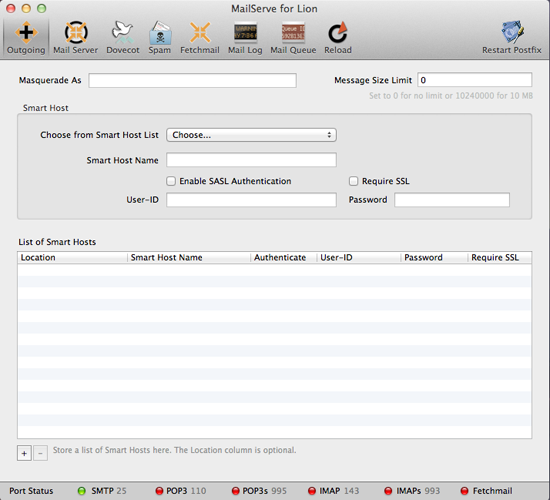 The SMTP port status indicator at the bottom-left of the window will turn ember for a while and then green . And the Postfix button label will show "Restart Postfix". 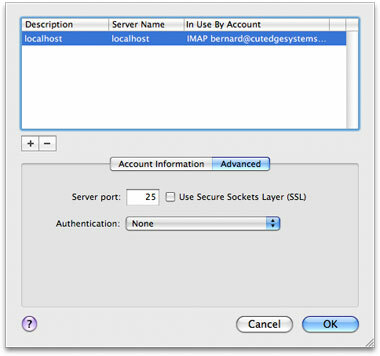 This will be your cue that the SMTP server is now active and ready for use. (See the picture below). It's that easy. 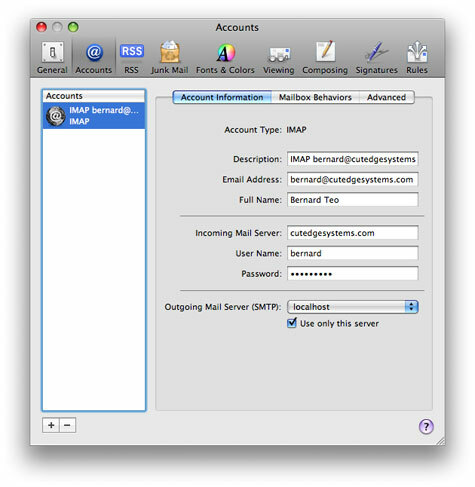 Your Mac is now ready to send mail as a fully-functioning smtp server. 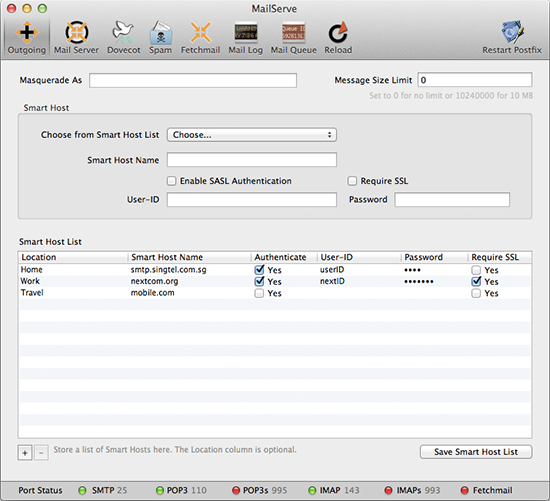 With the Postfix SMTP server now active, you should be able to send mail from a mail client like Mail.app running your server machine, as well as any PHP or command-line scripts. If my ISP doesn't block port 25, and if the destination mail server is not running any spam filter that blocks mail from dynamic IP addresses, then my message would reach its destination.